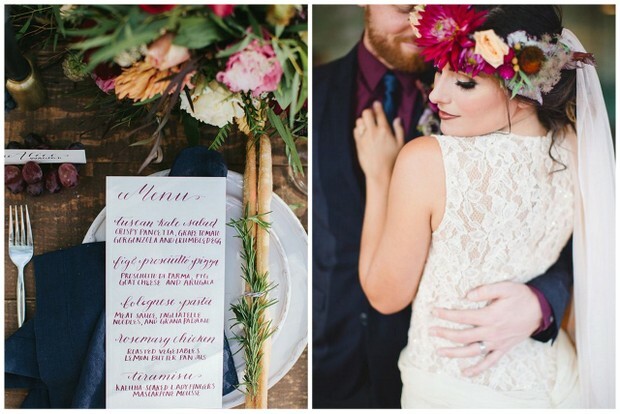 Our palette today has a real summer vibe, but is equally at home for a dreamy winter wedding. Blue is a tricky colour to work with for weddings, and often needs to be surrounded by a warmer colour to really make it work. 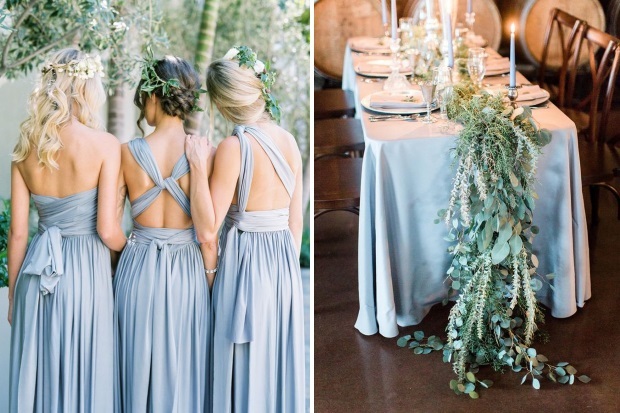 Today we’re looking at a dusty, iced tone, which works incredibly well with gold for a festive wedding, or with a dusty pink for a summer soiree. For bridesmaids in blue, it’s all about mix and match outfits – a pretty blue tulle skirt being our separate of choice (honestly, how romantic is that look in the pic below?! We swoon!) Keep your palette modern with pretty calligraphy and text-based decor, and make sure to add some gorgeous greenery in to soften up the whole look.